Created just for American Express, Air Tennis put fans right at the center of this experience at the 2017 US Open. In collaboration with our client and Momentum Worldwide, we invented a whole new way to play the sport of tennis. Players compete against an artificial intelligence opponent using their hands and natural body movement. Each swing is met with a burst of air as the player makes impact with the ball, allowing them to feel the impact of every shot. 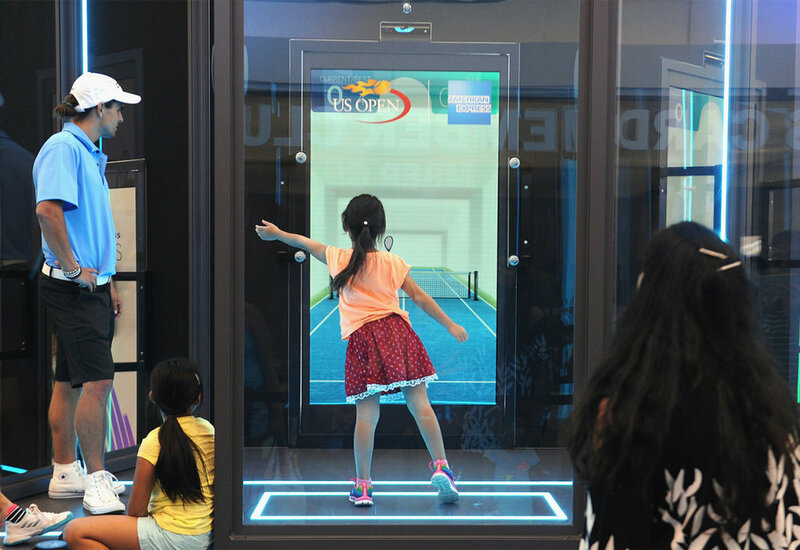 Incorporating air haptics, motion sensors, three-dimensional sound and UI game graphics, Air Tennis brought fans closer the game than ever before.